Robin Van Gyn, Bariloche, Argentina – 1/1000 sec at f/7.1, ISO 100 at a focal length of 200mm. Ben Girardi photo. Photographer Ben Girardi chases winter across continents, year-round, and shoots a huge diversity of snowboarding, skiing, and climbing. In between trips, he touched base with us to his photo creation process, including all the technical details for each shot featured in this interview. How did you start shooting snowboarding, and how did it progress to you earning a living at it? Jody Wachniak, Whistler, B.C. Shot at 1/1250 seconda at f8, ISO 100 at a focal length of 160mm. Ben Girardi photo. I started out snowboarding at 7, and that quickly took over my life and became the thing I wanted to do all the time. During my freshman year of high school, I took a photography class, and was instantly hooked on the process of making imagery. It didn’t take long for me to start shooting my friends riding. At the same time I ate up all the content in Transworld and other magazines, always trying to find out as much behind the images as I possibly could, and trying to emulate the shots and techniques I saw in print. A few opportunities allowed me to make great connections within the snowboard industry. This led to a few small jobs early on, and I was able to grow on those and get bigger opportunities from there. I learned early on if you want to be able to pay your bills with photography, you can’t just go on trips because they are fun. You have to look at everything with a business mindset and find the value in what you are doing. Can you talk about which projects interest you and why? 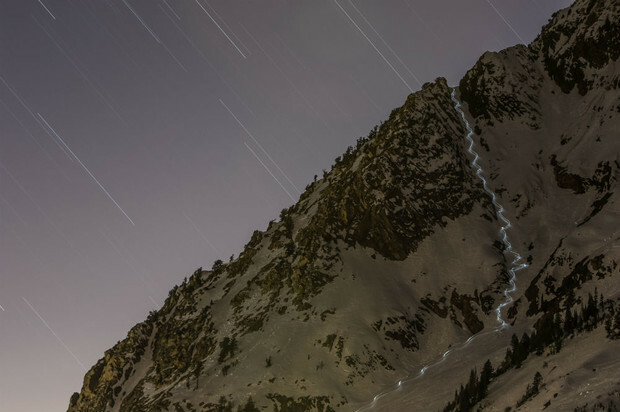 Tony Pavlantos, Little Cottonwood Canyon, Utah . 15 minute exposure at f/4.5, ISO 100 at a focal length of 70mm. This was made up of three 5-minute exposures: one to capture the rider with the headlamp, and two additional exposures to extend the star trails. These three images were then composited in Photoshop to create the final image. Ben Girardi photo. It’s very broad, but I really like being outdoors and in the mountains. The mountains to me are incredibly stunning, and I never grow tired of looking at them. Projects that allow me to work in these environments are always high up on my list of things I want to do. Which projects do you look back on and see as pivotal developments both professionally and artistically? Jack Hessler, Bariloche, Argentina. 1/250 sec at f/9, ISO 100 at a focal length of 44mm. Lit by a single Elincrhom Ranger flash head with a 7 inch reflector at 45 degrees from Jack’s side. Ben Girardi photo. I have had the opportunity to go to Argentina with SASS Global Travel for the past ten years. This has definitely been an on going project that has really allowed me to develop professionally and artistically. Being that I spend the entire winter season in Argentina each year, I get roughly 40 extra days shooting on snow. This really gives you the time to try different techniques and styles I might not have had the opportunity to try had I not been going there. What recent projects have you been working on that you are stoked about and why? Steve Job, Provo, Utah. 1/125 sec at f/4.5, ISO 640 at a focal length of 110mm. Lit by two Sunpak 555 flashes, with one placed behind the climber acting as the main light, and another place on Ben's side of the climber to create fill and bring up the shadows. Ben Girardi photo. Within the past couple years, I began shooting rock climbing. 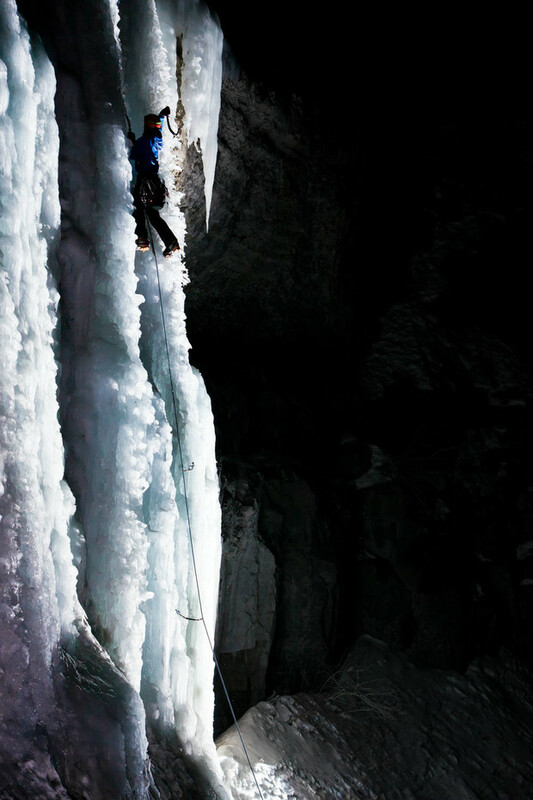 I recently worked on a project where I was able to shoot ice climbing. I was incredibly stoked on this because it was relatively new to me and challenged me to view things differently then I had in the past. Can you talk about your upcoming projects? Helen Schettini,, Haines, Alaska. 1/1000 sec at f/8, ISO 100 at a focal length of 23mm. Ben Girardi photo. It isn’t currently a specific project, but I am working on figuring out a way to get to Alaska at the end of the season. 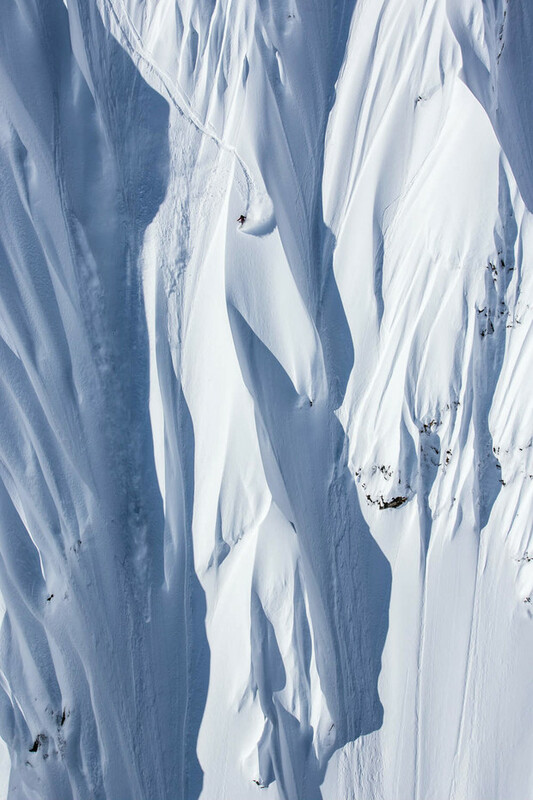 No place I have ever been quite compares to getting to shoot those massive spine lines. Incredible. 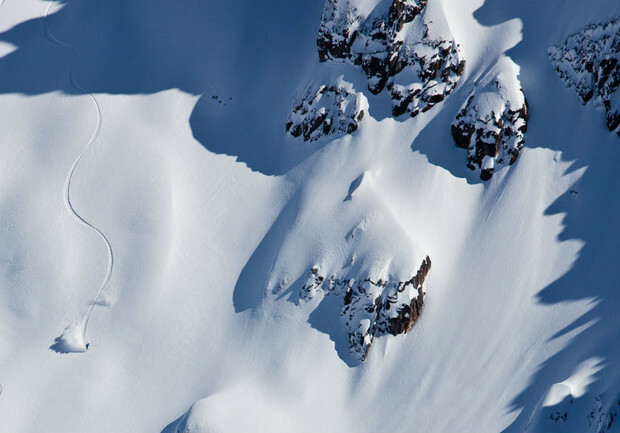 Can you discuss the challenges snowboard photographers face and which obstacles up-and-comers can expect to have to overcome as they gain experience? 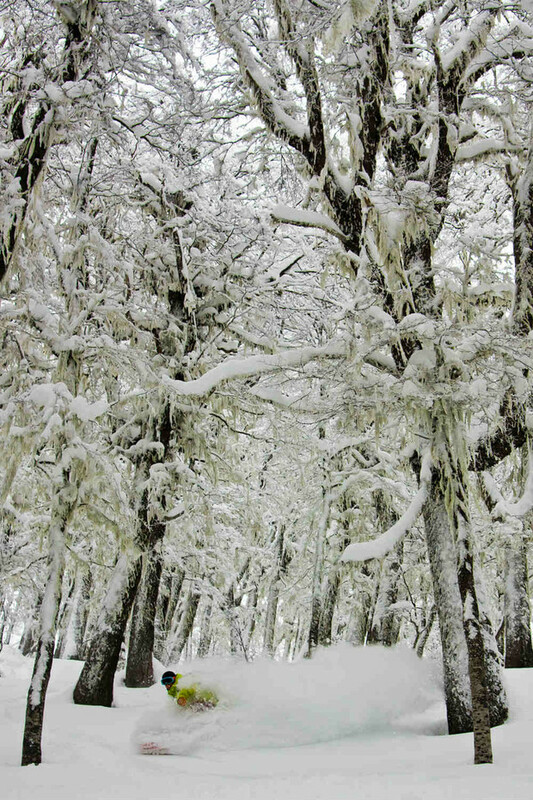 Scott Kuchinski, Bariloche, Argentina. 1/400 sec at f/4, ISO 400 at a focal length of 28mm. Ben Girardi photo. 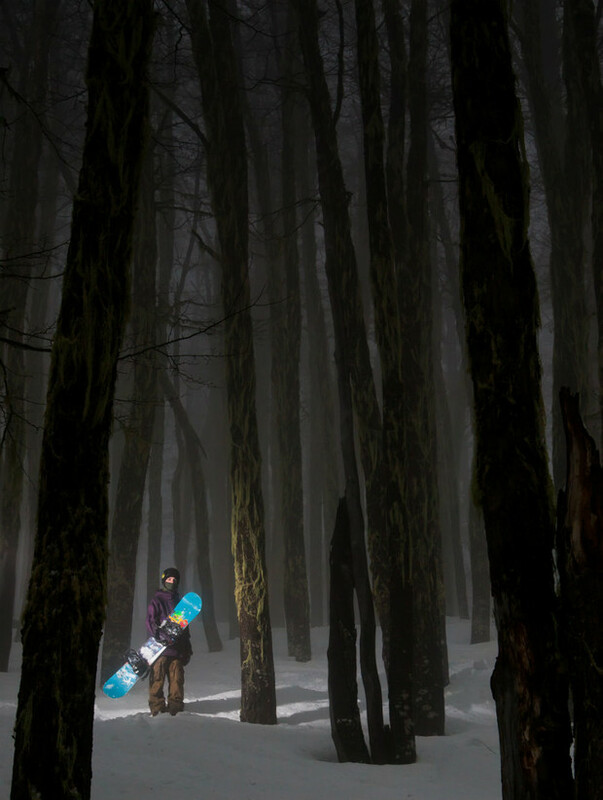 Snowboard photographers face a lot of the same challenges as the photography industry as a whole. With the introduction of social media, everything is changing from how you negotiate jobs to how you promote yourself. You need to be able to recognize these challenges and adapt to them before it is to late. 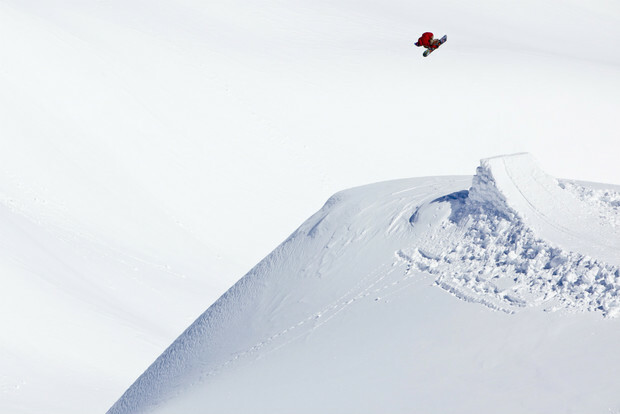 The snowboard industry is a tough one to get into, especially with the number of extremely talented photographers. As a newcomer, you need to realize that “success” isn’t going to come overnight. You need to be willing to work hard everyday and absolutely love photography, as there will definitely be days when you question why you are doing it. However, one sunny bluebird powder day will quickly remind you why you spend all those long nights working behind a computer editing and trying to line up your next job.